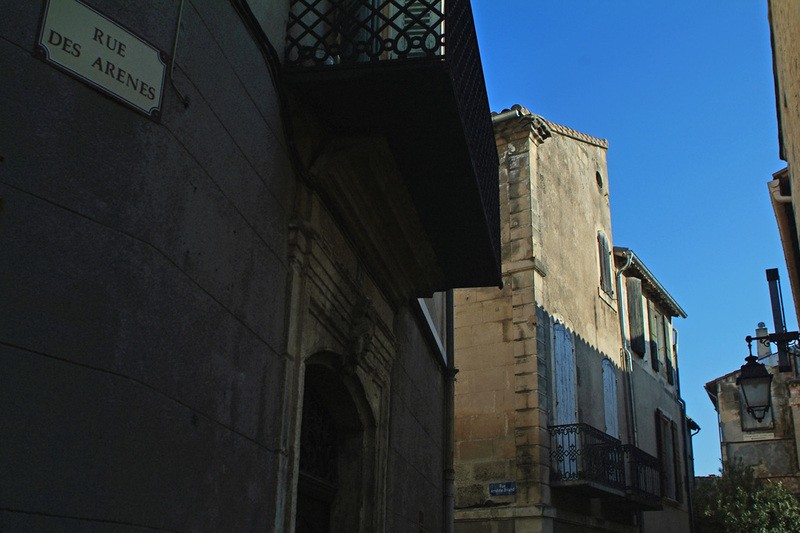 So, people have been talking about "the next wave" of Arles since I first moved there in 2005. My then neighbor said that folks were saying the same when she first moved there some twenty odd years prior to that. And...*letting out a giant exhale*...rien...nothing happened. That is, of course, until now. I add the modifier because "of course" this would begin to happen during the first summer when I am out of the region in over ten years. As I perch over my instagram account, scrolling to the far blue yonder, I have been astonished to see so much positive change rolling into this 2500 year old town. At times, I twitch with a bit of FOMO or Fear of Missing Out. Now, there is ab-so-lute-ly a reason for all of the hullabaloo. I have been mum on this blog about the arrival of the LUMA Foundation as I have been slowly documenting its conception and construction from the beginning, all the better to spring it on you as the completed "Savior of the Arles Economy" that it will be. It is a brilliant project, entirely and privately funded by an incredible arts patron (who happens to be a woman no less) and yes, the entire town has been polarized by the pros and cons of converting tiny Arles into the new modern art capital of Western Europe. Ok, that last bit depends on who you speak to but in my opinion, it just might not be so far from the mark. Those who are wise are anticipating the arrival of this next wave by paddling out to already to save their place before the surf is indeed up. Remi and I, were too far ahead of the game when we opened our now online only gallery, Nature and Cultures, in 2008 (granted, the actual construction dates of the LUMA tower, designed by no less than Mr. Frank Gehry himself, have been pushed back several times). And we were far from alone. I know of several business owners in Arles who have been just trying to "tient la route" for several years now and we all know why. It has been estimated that the LUMA Foundation will draw an additional one million visitors per year. But oh, does Arles hate change. And yet, as my wise friend Stephen often reminds me, "Let go or be dragged." 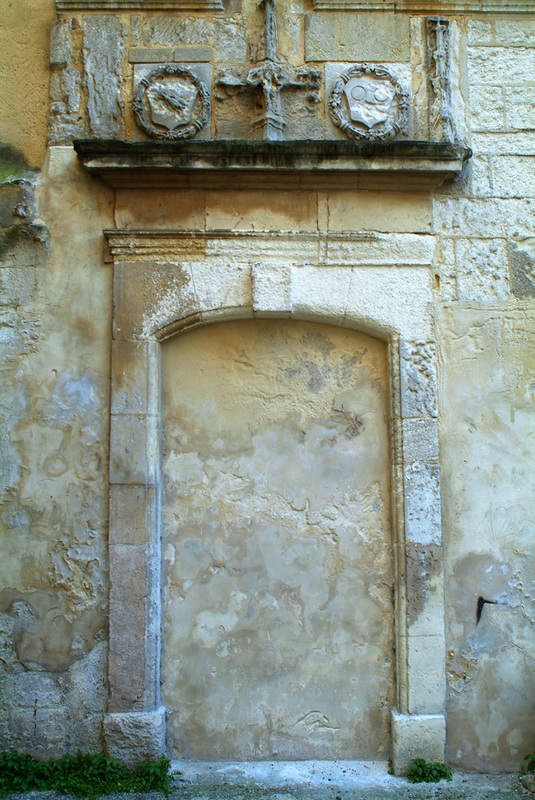 So, Arles, I am talking to you, time to let go and "face the strain." Here are a few new and recent addresses that have my eyebrows arched in surprise. I can not wait to explore each and every one of them, hopefully upon my return to le Midi this October. 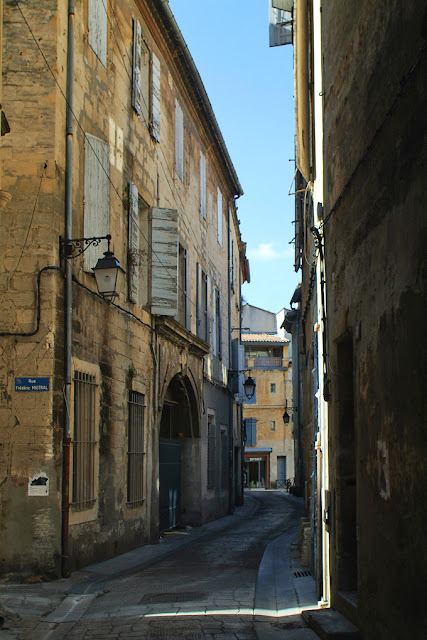 Those of you who have been reading for some time know that my bona fide number one gripe about Arles is that it is extremely hard to find a decent restaurant for a decent price, let alone one with adventurous yet grounded cuisine. Eh oui, no longer. I watched the team of the Paris Pop-up do some magic last summer at the gorgeous Nord-Pinus Hotel (I have always said that it is one of the prettiest dining rooms in Arles) from a distance as I did not have a dime to my name but the word out was fantastic. Now, they have brought a new concept to an even better space (the previously under-used Querida on the rue des Arenes) by welcoming a series of chefs in residence to whip up their own menus of small plates tailored around the availability of seasonal ingredients. Just please trust me that this is a radical concept for Arles. In addition, there is a fantastically reasonable wine list (6 € for a glass of 2014 Bourgogne?) as well as a "bar dynamique" which can be attested to by some of the impromptu concerts that have taken place so far this summer (I can only imaaagine what the neighbors think). The current menu has offerings such as a cheese plate at 7€ and beef cheeks with eggplant for 12€. The ambiance seems to be a very happy, unpretentious one. As it does at Estello too. When you live in the centre historique, you try really hard to have a friend who has a roof terrace (they are harder to come by than you might think) because the truth is that there are no really great open air bars, especially for sunset (I can think of one). So, it was high time that this summer time pop-up happened with djs and drinks, plus petanque and photo exhibitions. I am not exactly sure whose idea it was to house all of this on the rooftop of the downtown parking structure but even that is just part and parcel with the "my way or no way" charm of Arles. Open until August 28th at 5 boulevard des Lices. Climb the stairs as the elevator can be iffy. 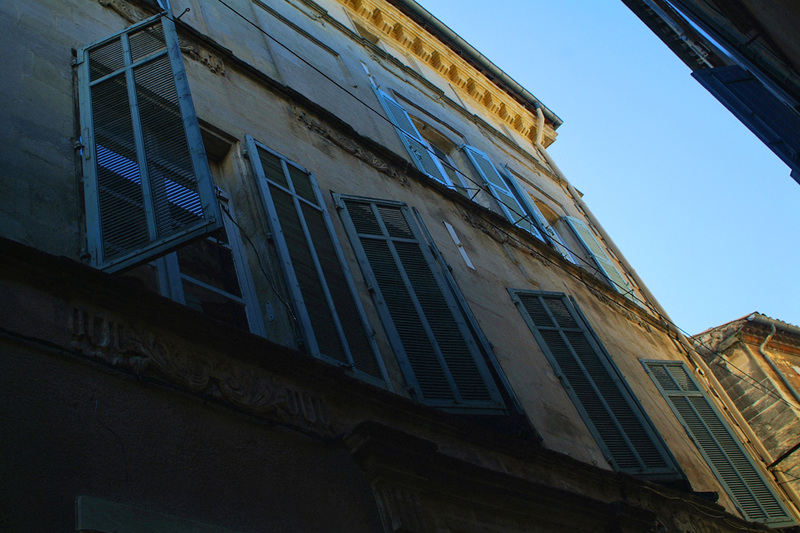 The same team behind Chardon is also bringing "real" yoga to Arles, finally. Now. I know how snobby that sounds but I have been down-dogging since my hippie Mom taught yoga in the 70s and was a bit mystified by the total randomness of the bit of yoga that I heard about in the area, either consisting solely of détente or "yes, you really can do a headstand your first class, come on, just give it a try - allez hop!" This summer there will be the Rock in Opposition technique on feature with two different teachers from Canada and the fall schedule will be released soon. 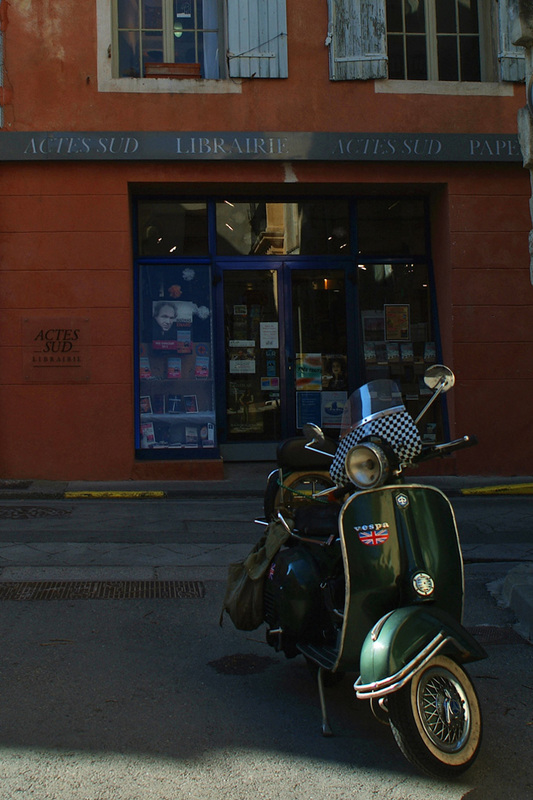 Classes start at 12€ the pop with packages available - all take place at 9 rue du Palais near the Place du Forum. Sweet. If you had told me a year ago that soon there would be a café where not only everything would be made inhouse but also with vegetarian, vegan and gluten-free options available, I would have rolled over with the giggles. But it has happened. This spot is brand-spanking new on the lovely but unvisited rue Molière, inbetween the Place de la Republique and the boulevard des Lices. Salads such as black quinoa with avocado, fennel and parmesan in a lemon dressing are only 3.60€. I rest my case. Anyone who has been on one of my guided walks can verify that there are some absolutely amazing abandoned buildings throughout town that are just begging on bended knee to live again. I think that the former church and ballroom (because we know how those two go together) that is home to the b&b Le Collatéral most certainly takes the cake and I am delighted to see that it is open, plus that the owners put forth a ton of bonhomie in their presentation. There are only four bedrooms, each with a unique design spin, a huge lounge, library and an open terrace plus lots of art - all in the close but not noisy Roquette neighborhood. Booking rooms can be tricky business in Arles. I promise to look into this spot for you directly in the fall. Of all the summertime events that I am missing out on this year, it feels the weirdest not to be going to the Rencontres. I love this photography festival and always have but...going to see the exhibitions out at the site of the Parc des Ateliers (where the LUMA is blooming to be) is just brutal. The heat is insane, it is dusty, everyone is cranky and usually hangry by the time that they stumble through thousands of photographs. Now, there is finally an option that makes this a worthwhile destination in it's own right. And listen up my tourist friends whose stomachs are on a different time zone: they are open all day from 10am to 5pm non-stop. The products are local and often organic as are the dishes, save when they are put together by one of the "mammas" of the kitchen staff who are capable of whipping up what looks like to be a mean lamb tangine. This is not a new address but one that seems to be really coming into its own. And speaking of relative old-timers, I just want to put an update out there for the many of you who have loved my post on the handmade espadrilles at Jute. And you should love them because the pairs that I bought when I wrote that post are still going strong and oh my do I wear out my shoes. I mention them because what they are doing now is phenomenal. I would love to buy all, or nearly all, of what they are creating. Worth a second look. So there you go. No, I am not sponsored for any of the above - however, if any of the owners of these establishments want to buy me a drink or offer me a job, I most likely would not say no. PS. For those of you who can't wait a minute longer, you can read about the LUMA Foundation by clicking here. 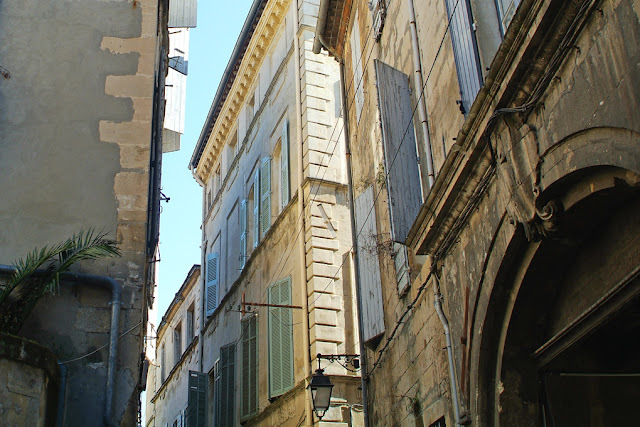 Our first househunting trip in the south started in Arles. We'll have to trip on over there to check out these places. I am most impressed with Superfoods--if they can do decent salads at that price, well, WOW. Also, the pop-up resto--I wonder how entrepreneurs negotiate all the hassles of permits and licenses and URSSAF and impôts and manage to get out alive. The village school PTA was going to do a fund-raiser, and I suggested doing a kind of pop-up to bring in customers from beyond the village. I got shot down--it was too hard to deal with the bureaucracy. Anyway, kudos to them for succeeding. Maybe they will make things easier. Hmmm...this is a really good point...one that I do not have the answer to, alas. Knowing Arles, I would imagine that this is something that has been in the works for a while. Shew - glad you helped to quell my fomo!! This all sounds amazing, especially as described with great finesse, style and humor by YOU! Lovely, also, to see more Arles photos - le sigh. Hmmm - free drinks or job offers? Sounds appealing! And on a personal note - I can't get enough of "let go or be dragged" these days, for thanks for that reminder! Yep, It's a good one. As I have said before Ali, I have a return ticket and I plan to use it. From there, we will have to see. Lillian, you will find it greatly changed! But hopefully in some ways for the best. Unfortunately, I can not recommend that you return to that café but there is much else to see. Francetaste has a good point....maybe they relax some of the rules for pop-ups? Nice to see Arles paying attention to itself and supporting more businesses and long may it continue. Our planned June trip didn't happen but I know we'll get there one day! PS. I didn't know you owned a house in Bandol! Yvonne, you might also want to look on French ebay. Just a thought. 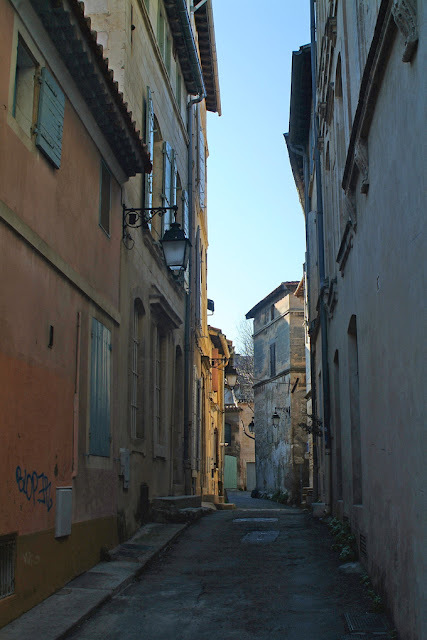 Funny thing is, we actually noticed a change between February when we were first in Arles, and the most recent time a couple of weeks ago (picked up my CDS:)I thought to myself that I hadn't noticed that Arles has such a vibrant arts scene. Looking forward to your return and in the meantime, we can't wait to check out some of these places! I think that you both would enjoy a lot if not all of these places! Hopefully one day we can finally do the market together, like we planned in what seems like another lifetime ago. :( But who knows, soon you will be an official Saint-Rémoise and perhaps will snob Arles?? Excellent post, Heather. I am excited by the possibilities for this magical place. So much is happening there Jackie - I know that you would love the energy! I'm a sucker for happy endings so i hope your mid-October return comes true - if that is what you really want, of course. Beautiful update to all new possibilities in Arles, Heather! Arles should hire YOU as a loving ambassador for the town! Fingers and toes that October finds you where you are supposed to be! You are right, Trudye, they should hire me! I used to joke that I would put Ben out on the quay with a sign around his neck saying, "Welcome to Arles" - now, that would be the best ambassador ever. Now I know where to buy shoes. Never mind that it's just a teeny bit out of the way . . .
Just a wee bit, Emm. :) I am pretty sure that you can order online - and one of the owners is English. Let me know if you need help with that if it interests you and I will get a contact info. Fabulous info! But, I'm still knocked out about a possible building by Frank Gehry! But, more than that, I'm like "Unknown" - 'still digesting mid October."??? The Gehry tower is already well into construction. It is going to be amazing. As for the rest, I will do what I can. Is that a new wave to revitalize a town? 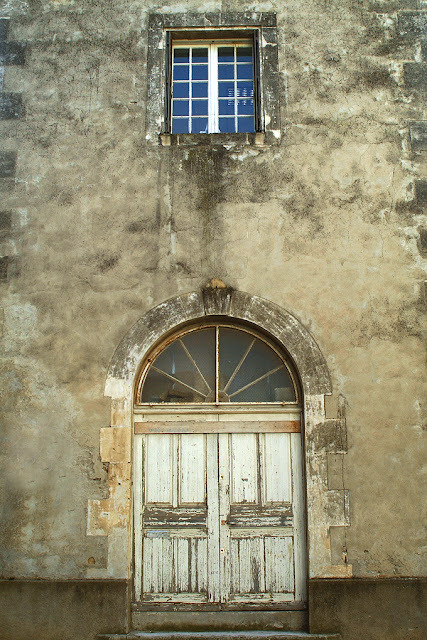 Napa is undergoing a lot of changes for a few years then the earthquake hit and temporarily slowed down the progress. 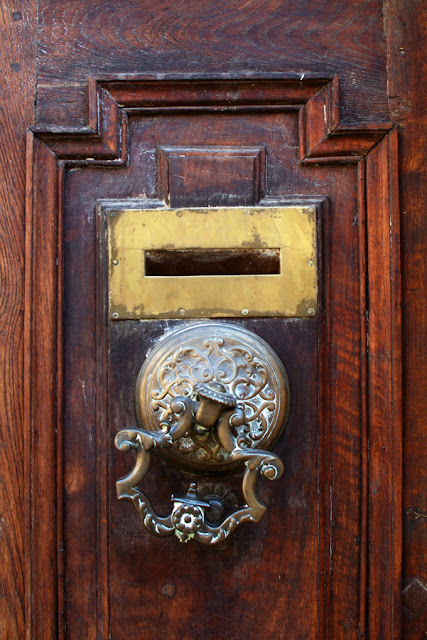 Now new addresses are starting again. Wishing you a sweet October. It should do quite a bit of good for Arles, Edgar. An immense amount of good in fact. Thank you for the compliment. Well, we shall see for all of the above, Janey. I probably should not have mentioned anything for myself at least. Wow! All of these new places sound amazing! I cannot wait to hear all about them once you are back in your beloved Arles. I hope that your birthday was fabulous! Elizabeth, I had a lot of love coming at me that day, so I certainly won't complain. 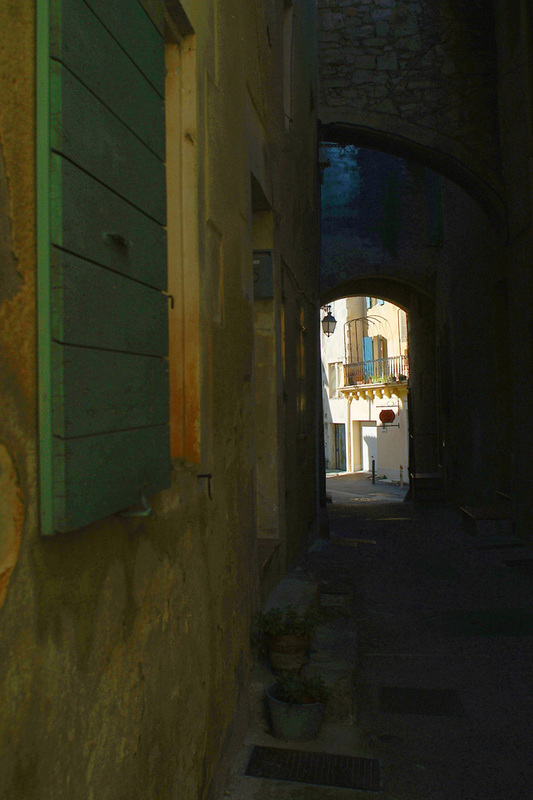 I discovered your blog while searching for Arles. 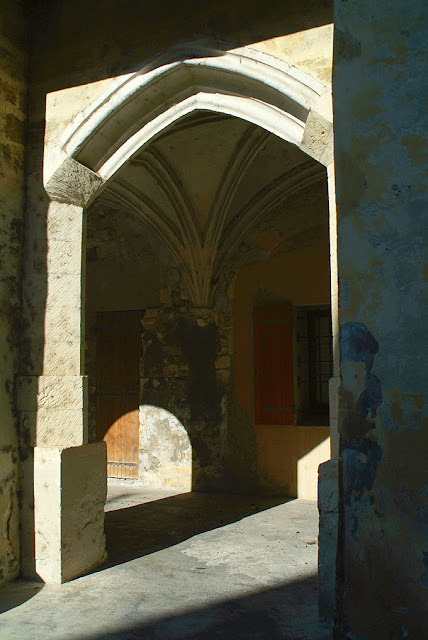 My husband and I have spent many happy holidays there and in Aix-en-Provence. It was only when Arles “disappeared” that I realised it was never Arles that kept me coming back to your blog. It was the joy of your writing. Always so personally yours, always a new slant, thoughts expressed so compellingly as to be always thought provoking. I can find a thousand photos and “what’s new” on Arles, but there is only one Heather. I found the cake was just as delicious without the “cherry”. With all very best wishes for your future, wherever you find it. Jenny, I have read your comment over quite a few times now. Thank you truly. I am deeply fortunate to have such kind people as yourself here. Thank you Heather. To be honest, through your powerful writing, you crept into my heart to the point where it seemed selfish and rude to read and run without saying “thank you”! This is the first time I have ever commented on a blog. Thanks for all this, Heather. We discovered the excitement of LUMA and the Gehry project while we were in Arles in June ... enjoying all the helpful tips you so graciously shared with us. Some day I look forward to sharing a coupe or two with you there. That would be lovely, Patricia. Maria, I am sorry to tell you that Ellie passed away yesterday afternoon. She was at peace. She will be dearly missed.